While at online education company Penn Foster, Daniel Marotta was able to prove that not only did students who participated in their online community take more exams and pass more exams, but they also paid more tuition and defaulted less on their tuition. Daniel Marotta has been a community professional for over 10 years. He’s implemented community strategies that span financial services, high tech, manufacturing, and education industries. Daniel lives for customer advocacy and has been the voice of the customer for some of Fortune 500’s most prominent companies. 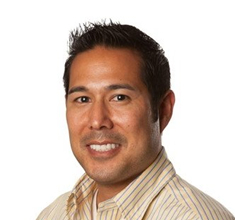 He currently resides in Boston, MA and works for the industry leader in child care. Our transcript was not completed in time for the release of this episode. Once it is finished, we’ll update the post and include it here. [00:00:24] Patrick O’Keefe: Hello and thank you for listening to Community Signal. Daniel Marotta, who leads community at the largest provider of employer-provided child care services, joins the show to talk about their recent community launch and a great ROI case study from the education industry. 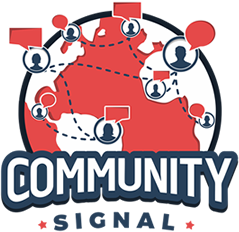 Is Community Signal valuable to you? If so, please visit communitysignal.com/innercircle to become a supporter on Patreon and receive early access to the show as well as bonus clips. Thank you to Luke Zimmer, Serena Snaud and Carol Benovic-Bradley for their support of the program. Before I get started, I have a personal announcement to share. I’ve taken a new job as Director of Community at CommunityCo, that’s community.co, leading online community efforts for the company’s portfolio of communities including YEC, the Young Entrepreneur Council, the Forbes Councils, and the Men’s Health Fitness Council. It’s a fun challenge and I’m grateful for the opportunity. Thank you to Ryan Paugh and Scott Gerber for their belief in me, Jenn Pedde, Community Signal guest, for making the connection without which it wouldn’t have been possible, and everyone over at CommunityCo for being so kind and helpful as I acclimate to the role. I mentioned this because it has some impact on the show. It makes me a little less independent, and if there should ever be a conflict of interest created by my employment at CommunityCo, I will let you know as I have let you know about other conflicts of interest in the past. I plan to continue to do this show, and have CommunityCo’s blessing to do so as an independent program. It has been my goal to find a role that was challenging and fun but also would not ask me to simply fall off the face of the online community world. At CommunityCo, I believe I have found that role and it’s really exciting. I’m tremendously grateful for my network of friends and professional acquaintances who have offered connections, advice, and support as I went through the process of finding the right fit. With that said, let’s get into the show. Daniel Marotta has been a community professional for over 10 years. He’s implemented community strategies that span financial services, high-tech, manufacturing, and education industries. Daniel lives for customer advocacy and has been the voice of the customer for some of Fortune 500’s most prominent companies. 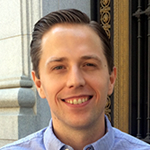 Daniel currently resides in Boston, Massachusetts, and works for the industry leader in childcare. Daniel, welcome to the program. [00:02:24] Daniel Marotta: Thanks for having me. Looking forward to our time together. [00:02:26] Patrick O’Keefe: It’s a pleasure. You literally just launched a community, and it’s fun to talk to people right in the middle of a launch. Tell me about it. [00:02:36] Daniel Marotta: You’re right. I’d say we soft-launched about two weeks ago, and timing wasn’t all that great. It bumped up right against a family vacation, so I was really coming down to the wire to really get it right. The anxiety levels were high and the stress levels were almost not manageable, but we got it out the door without a hitch and we’ve been onboarding our members steadily for the last two weeks. We’re gaining some momentum and we’re looking forward to scaling up and growing those numbers, and really digging into the community management side of things. [00:03:07] Patrick O’Keefe: Now, you’ve been at this for more than ten years, and it doesn’t matter how long you’ve been doing it, there’s always surprises, good surprises, bad surprises. Is there something that surprised you in a good way with this launch and conversely something that surprised you in a bad way? Anything come to mind? [00:03:20] Daniel Marotta: My previous launches, and I’ve done maybe four to this point, they’ve always been managed in sort of start small and then slowly build off of that. This one was more controlled. We went out to “client-friendly” clients [chuckles] that we knew would be more understanding should they have a bumpy ride. We went out there with the most caution, but it set a little bit of relief on our side that we’re going out to a friendly member base and they would be honest in their feedback. This was a pleasant surprise. It wasn’t letting everyone into the door and then trying to triage through all that feedback all at once. It was very controlled and very process oriented. It’s not something I had done in the past, but something I enjoyed this time around. [00:04:09] Patrick O’Keefe: Bright Horizons is a leading provider of child care, early education, and back-up dependent care. The company’s Wikipedia page says it’s the largest provider of employer-sponsored child care. You have employees and child care providers, you have employers and people who pay for your services, you have parents and people who take advantage of what you offer. With your online community efforts, who are you targeting, and then how did you come to that decision? [00:04:33] Daniel Marotta: In the really basic terms, we’re focusing on the B2B market. We offer our services to other companies as a benefit to their employees. It’s really a business to employee target audience. In the normal marketing world, if you’re B2B and B2C, but here we’re talking about B2E. I guess it’s semantics. I mean, you think that B2C and B2E, they’re going to have the same messaging, but we’re really trying, for one, to target the benefit specialists, so the HR reps that manage these programs within these organizations, want to get the awareness and get them offer to the door and down to their employees. Once we’ve passed that point, we then want to start talking to parents or overall caregivers. I wouldn’t say secondary, I’d say they’re both target audiences of ours. [00:05:22] Patrick O’Keefe: It sounds like in a way that you are hoping to build something that reaches the employees, the people who are receiving the benefits and almost that the community could become a benefit to itself, where the HR people and the benefits managers are saying, “Okay, yes, we offer this benefit, but also it has this knowledge base, this community, the support system to go with it.” Is that correct? [00:05:44] Daniel Marotta: That is correct. We want to position the community itself as a value prop, the knowledge share that goes on, caregiver to caregiver. Those are just one service that we offer. We have a whole portfolio of services that span the different life stages of an individual so in all the way from a newborn through their journey into their careers or changing a career. We start off about caregiving, but we evolve with our customers. As they enter university or college, we have services that help them there, but then beyond that, if they’re in a career and they want to change career or career development, we also have a service to help them out in that respect too. It’s really a whole life journey that we’re having with our customers. [00:06:32] Patrick O’Keefe: One of the challenges that you’re navigating is that you have internal stakeholders who are concerned with providing customers with the channel where they can potentially air their negative experiences about your services. That sort of thing leads to reservations about opening up an area in public for conversation. This is a challenge to corporate community in general. If we give them the space, they can use it to say negative things. That’s the case wherever you’re building a community on any platform. What was your answer to those concerns? [00:07:02] Daniel Marotta: I saw it as an opportunity. I think anywhere we can take negative feedback and be part of that conversation, and work with the customer to improve our processes and services, that’s where we can have the biggest impact. I try to position it as an opportunity and not a risk every time I have that conversation across the organization, whoever the business stakeholder maybe. Anywhere from the entry level person all the way up to senior management, my philosophy will always be the same. But, with that, they need some concrete examples of how we’re going to execute. There are compromises that we had to take into effect, so even though people or members who talk about what they want to talk about, negative or positive, I think it’s just really important to be transparent and just be part of the conversation. Some of our advocates are on there going to bat for us, so it’s not always one-sided where we’re just taking the beating and they just lay it on us. We’re having constructive feedback and constructive conversations, so that in the end, we’re listening to that feedback but we’re also acting on it to make improvements to the way we’re conducting ourselves, keeping them in mind, and always improving the experience for the customer. That’s how I carry myself and that’s how I sell community and the engagement model that I’ve built here across the organization and instill it. How they conduct themselves when they engage with the customers online. It’s quite a balance and it’s quite the argument to make, but if you stick to it and stick to that philosophy, I think in the end, you’ll be more successful and that people are seeing how transparent you’re being, and that you are readily available to having those constructive feedback conversations. [00:08:41] Patrick O’Keefe: Because whether or not you host it, it’s still going to exist, right? It still exists, the conversation exists. So, some would say, “Okay, we don’t want it on our website then. [chuckles] Let it exist elsewhere.” But I think the way to lean in general is to let it exist here so that we can properly manage it, right? [00:08:57] Daniel Marotta: Yes, the people that aren’t community managers as a discipline, their first reaction is, “Let’s delete it”, or “Let’s hide it”. But again, we’re losing out on the opportunity to be transparent and show and demonstrate that we’re willing to take that constructive feedback, but we’re taking it to improve ourselves. I think that’s a real important message to have it on the marketplace, that we’re not just going to highlight all the positives of our services, but we’re going to listen to the negatives and improve upon it. I think that’s a really important message to send to the customer and prospects. [00:09:30] Patrick O’Keefe: And in child care even more so maybe, because people are trusting you with their children, and often doing so in a way that is semi-private or that the parents are disconnected from. I think if you hide that feedback from the forum or you delete it, I almost think it lands us up to thinking about what else you might be hiding or what else you might be covering up, so in an industry like this, it seems like it’s even more important. [00:09:54] Daniel Marotta: Without a doubt. Everyone’s family is near and dear to their heart, so when they’re seeking child care, they want the best, but they also want [chuckles] the most honest. In any way that we can demonstrate that trust upfront, we’re going to try to do that. [00:10:08] Patrick O’Keefe: Let’s take a pause here to talk about our excellent sponsor, Higher Logic. Higher Logic is the community platform for community managers with over 25 million engaged users in more than 200,000 communities. Organizations worldwide use Higher Logic to bring like-minded people together by giving their community a home where they can meet, share ideas and stay connected. The platform’s granular permissions and powerful tools, including automated workflows and consolidated email digests, empower users to create their own interest-based communities, schedule and manage events, and participate in volunteer and mentoring programs. Tap into the power your community can generate for you. Higher Logic, all together. In addition to Bright Horizons, you’ve worked at several large companies, Bank of America, PTC, Analog Devices and Penn Foster. I think you’re a good person to talk about enterprise communities software with. The day before we are recording, it was announced that Lithium had acquired Jive’s external community business. Jive is focusing on internal employee and organizational community, seeing the public market and strengthening Lithium’s position in it. It’s an example of consolidation in the enterprise community software industry, where you have a few key players, and one of them is basically saying, “We’re going to give it to Lithium.” What’s your reaction to that? [00:11:23] Daniel Marotta: Yes, [chuckles] I just had a conversation with one of my community management peers, and those are two major players in the community management platform arena. I pretty much built my career on Jive, Jive-x specifically. [00:11:36] Patrick O’Keefe: Which is the platform that was sold. For those not following, Jive-x is going to Lithium, that’s the external and Jive-n is the internal thing, that’s what Jive’s going to keep and focus on. Sorry, go ahead. [00:11:44] Daniel Marotta: That’s exactly it, yes. No, that clarification is really important. I guess it may open up opportunities for other, maybe smaller players in that market. It’s really hard to say how it will all pan out. I know that now that Jive is being split in half, but they also have products that span both of those relationships. They now have two relationships with two different vendors now, but their products also integrate. I’m worried about what the follow-up may be around some of those enterprises that rely on the internal and external, and pushing the integration between those two instances. It’s really up to those product managers to really hash out who’s going to own what, who’s going to be accountable for what, and then how their customers are going to react in the end. I think it’s a real unknown right now. We’re going to see how the dust settles and see how the customers are truly going to react. But to your original question, I was rather shocked. Jive just went through an acquisition, and now they are divesting, really. In a short amount of time, there’s a lot of development happening. It will be interesting to see where they end up as far as this liquidation, acquisition, or how you want to classify it. I’ll be playing close attention. [00:13:01] Patrick O’Keefe: It’s interesting to hear your perspective as someone who has, in your words, built their career on Jive. As you highlight, if you go to Jive’s website right now for Jive-x, it says at the top, “Jive Software is now part of Aurea. Learn about the acquisition.” [chuckles] So, it’s still the header of the site that Jive Software just got acquired, and now Jive-x got split up. But you brought up something that’s really interesting, and I want to highlight this. It’s that, I think what you’re referring to is integration between Jive-x and Jive-n. They were taking advantage of both the public and the private components of that, and the uncertainty right now, I guess it’s not so much on the Lithium side. If you’re a Lithium customer, the uncertainty isn’t so much there, but it’s really would the people who have bought into Jive as a platform and both use the internal and use the external. Now, they’ve made decisions that cost [chuckles] a lot of money [chuckles], these software companies, where in some cases– I’ve talked about this with some people who use Jive. I think maybe Kim England of Pearson, but the idea that– In some cases, you’re pinning your career, or at least your time at that company, on to this software decision, because it’s such a big investment, where if it doesn’t go right, it could literally mean your job. That’s got to be a scary thing is, if you really bought all in on Jive, and now they essentially say you didn’t buy all in on Jive, you bought half Jive [chuckles] and half Lithium, and we’ll see where it goes. [00:14:17] Daniel Marotta: Yes, absolutely right. [chuckles] Investments in community platforms are into the hundred thousands of dollars. It’s not just Jive-x, it’s not just Jive-n. There’s also Jive Groups. There’s a lot of integration points and there’s a lot of use cases where you have an external community, but if there was maybe a support case or something that you’re working on that’s pushed to the internal and you’re using internal to triage the issue, and then you push the answer back out, what does that look like now? I really have no idea how they can make such a bold move to split the organization like that, but if you are pinning your career on the total buy-in of Jive, you might be a little worried right now. I think, I had spent maybe eight of my ten years on Jive, and that was where things were still just on the rise and being a little plateaued. Now, I’m on Salesforce, so I feel a little comfortable. I’m not in the weeds on that problem right now, but a lot of people in my network are. I might have to go and check on them and see what their reaction is, and see how they’re fairing. [00:15:20] Patrick O’Keefe: Yes. I’m just reading an article right now on MarTech Today and it mentions that the CEO of Lithium said that the customers will have the opportunity to migrate to Lithium, but the development of Jive-x will continue indefinitely. Yes, it’s such an odd place to be in. But you mentioned Salesforce. Bright Horizons is a Salesforce full stack company. So, you use a lot of Salesforce stuff and you use the Community Cloud. I don’t know if I’ve ever had anyone on the show that used community cloud. Privately, I’ve talked to a few people, and those private feelings were that it wasn’t that great. As someone who has an understanding of that market, how do you think Community Cloud fits into the options that are out there? [00:16:00] Daniel Marotta: I think it has a lot of opportunity for growth. They can catch up to their competitors, I think, rather quickly. There’s a lot of talented people working on the Salesforce side. I think the most powerful thing about it is how it integrates with Salesforce CRM and the other platforms that Salesforce offers. They play fairly nice with each other. I’m just realizing now, this is my first Salesforce community to ever be managed, and I’m still learning as I go, but I already recognized the amount of power it has and the potential it has to really have a 360-degree view of your customer. We already know who our customers are, but now we get a little more deeper intelligence and another data point to look at. I think there’s a lot more to come and a lot more to surface and really dig into the Linux, to learn even more about the customer, and what their journey is, and where they are going to be going. So far so good. [00:16:57] Patrick O’Keefe: Yes. I hope that they don’t decide to sell off the Community Cloud part to another company. [00:17:02] Daniel Marotta: Yes. I don’t think it’s their style. Salesforce, I think one of their growth tactics is acquisition. I know a lot of the software companies out there in the world, like Oracles, and the Adobes, EMC, they grow by acquisition. It’s very rare that they move in the other direction, so I think it’ll be stable at least for a while. [00:17:23] Patrick O’Keefe: In a pre-show questionnaire, you mentioned in relation to gamification that you enjoy the challenge of tying the change in member behavior with business objectives. I’d love to hear more about that, specifically, some examples of gamification used to change member behavior that’s then tied to business objectives. [00:17:39] Daniel Marotta: Yes. I think that easiest way to demonstrate that– well, with my experience, I think support communities are really easy use cases to tackle. You’re really trying to use community as a case deflection or to minimize the amount of inbounding e-mails or chat, or whatever it may be, by having a community use it as a self-service vehicle. So, for that to really work, you need the power of the community itself. You need some reviewer, subject matter experts, your customers, to do a lot of the heavy lifting for you. Some of the low hanging fruit type questions. You don’t want your support engineers spending a lot of time on that. So, you try to incent the member base with whatever the gamification element is. Whether that’s badging, points, levels, merchandise, the list goes on and on. But you have to understand what drives them, to then build a gamification strategy that motivates them to get the desired behaviors out of them that you’re looking to achieve. If you want other members to be answering questions, then you reward them for answering other people’s questions. I’ve done that at Analog Devices, and to some degree at PTC, there was very out-of-the-box, very basic type of gamification elements then. We’re talking quite a few years ago now. But, for each and every time I do a gamification strategy, it’s fun for me to dive into what are we trying to achieve with gamification. But then, how do we change that behavior with a member of the base to actually achieve that result. There’s an element of psychology with it, and then you tie it in with technology and marry those things together, you started making movements in the community in a positive direction. That’s where I fall and enjoy myself, and really seeing the results from inception to execution. Then, as we all know, community strategies evolve and change, so must the gamification strategy. It is a living, breathing thing that always needs attention, you can’t just set it and forget it. But it’s something that I truly enjoy. I grew up in the age of Atari and Nintendo, and to actually have some of those elements into my daily work, it makes it a little more fun. [00:19:48] Patrick O’Keefe: Yes. I still have my Atari 2600, as well as the 7800, and they work, so– I just need room. [00:19:54] Daniel Marotta: Just hold on to it, because those are, I’m sure, worth of fortune now. [00:19:57] Patrick O’Keefe: Yes. I just need room to set it up. And there’s also a story about the NES Classic, the little mini NES they put out last year. A different company is doing an Atari one with Atari 2600 games, so I’m keeping an eye out. [00:20:08] Daniel Marotta: I think I even saw that they have some nice woodgrain elements, so the nostalgia. [00:20:13] Patrick O’Keefe: With gamification, do you feel at all we’re getting to a point where there is element of it that’s everywhere, and what I mean is that a lot of communities, a lot of the services, web services in general, implement in some form gamification where everything has gamification. You make your first post, well, here’s a badge. Right? You change your location, here’s a badge. You collect these badges and they are of suspect value because they’re so easy. Is there a feeling of overuse of gamification, do you think? How do you keep it meaningful, I guess the question. [00:20:48] Daniel Marotta: Yes, that’s definitely a problem you always run into. If you gamify everything, it’s almost like nothing’s important, right? Everything can’t be driven gamification, that’s why you really need to dig into what drives members to do what they do. It’s really keeping in context with what drives the community, and then building elements based on that feedback. I think there is an oversaturation of gamification out there. People think that if they have a community, they have to have to gamification. That’s definitely not the case, I would never profess that. If you want a fun element, and there is a competitive nature to your community, then I can see gamification having a presence and having value in your community at that point. I would definitely feel your audience out before you start introducing your features of functionality, not just gamification, just features of functionality in general, before you start building, developing and launching, because the community really decides what the community’s going to be, so you really need those soundboards to bounce those ideas off of. [00:21:50] Patrick O’Keefe: Tell me about the ROI model you developed while working for an online education company Penn Foster. You wanted to build a community that provided students with academic and moral support, but you needed hard numbers to show that. What did you do? [00:22:04] Daniel Marotta: I was in the weeds on that, I really got to know a lot of our students. Anecdotally, I heard, “This community really helped me out, it allowed me to learn the curriculum faster.” We kept on hearing things like that. But [like] with anything else, to show to senior leaders that the community is actually paying off, they need hard numbers. To develop the ROI model for that, I followed two groups of students that enrolled at the same time, I think it was a sample size of a thousand for each. I followed 2,000 students that enrolled all at same time, a sampling of all our different programs to even out. I just follow them for about a year, and tracked them month over month to see how they were progressing in their academics. One population was one that never joined the community. They had no interaction, they never signed up, they never joined. Then the other population of students, they were engaged with the community, they were posting questions, they were engaging with their instructors, they were absorbing resources that were posted out there in their virtual classrooms and things like that. I started to connect the dots on that stuff, doing a lot of data dumps and manipulating data tables and things like that. What we found out is that the students who were participating in the community versus the ones that were not, were taking more exams, they were passing more exams, and they were moving through their programs quicker than the ones who were not. That was really powerful to demonstrate back to the business saying, “The community is really paying off. It’s showing and driving student outcomes.” That was our huge win, well, for me, but for the community itself as well. I think going back to my data, I think we would see the ROI on community in less than three years. I think that piqued a lot of interest in what we’re doing and gained more investment both from headcount-wise, but also for dollars in some of the program that we wanted to invest back into the community. It was a huge win overall, both for the students and for the company. [00:25:12] Daniel Marotta: Yes, it’s definitely a sigh of relief on that, because when senior leaders ask that very important ROI question, a lot of community managers are stunned and they’re not really sure how to demonstrate that. Obviously, every community is going to be different, because you’re in a different line of business, different industry, but if you can demonstrate ROI and actually show hard dollars, you’re going to be a hero in your company. [00:25:35] Patrick O’Keefe: Yes, it’s a good example of one of the key starting points for ROI is to compare two groups, the group in and the group out. If you can do that, that is the thing to do. You mentioned three years, I wanted to ask you about that. Is that three years of measuring, or three years since you were hired? What does that mean, showing ROI in three years? [00:25:52] Daniel Marotta: I think it was a baseline that we started measuring at point A, and we looked at those students over a course of a year. That was year one, so to get the full investment back on the dollars we put in on the licensing of the platform, the headcount that was allocated towards supporting the community, and a lot of ancillary other things, it would take three years to recoup that amount you invested into the community. And if we’re able to sustain those levels, the community would pay for itself year over year after that. [00:26:22] Patrick O’Keefe: Got it. At Bright Horizons, community is viewed as the “new front door to all of your services.” So you’re trying, sticking with ROI discussion, to drive and measure the utilization of your services. Again, things like child care, backup care, early education. I know it’s early in your process over there, [chuckles] it just launched two weeks ago, but I’m curious drawing from your past experience, measuring ROI, what is your plan? What are the steps that you are taking to lay the foundation for good data and measurement of how your community is using the services that you provide? [00:26:55] Daniel Marotta: Yes, even before community was even a thought, we had metrics around the current state of affairs, which was basically creating landing pages for each one of our clients. That was maybe 1,200 individual landing pages for our clients at that point. That was our baseline, so we were doing things in that traditional manner. With the community, we’re trying to unify all those clients onto one platform, so there’s a cost savings there, right? We’re not managing twelve different web pages anymore, we’re just going to be managing one piece of technology, so there’s cost savings right away, headcount and resources and whatever else that comes with it. Then we’re going to put in a lot of emphasis on personalization. We know through research that personalization speaks volumes in driving a lot of utilization with that. It’s more relevant, it’s contextual, and so we’re serving up information to our customers right at the point when they need it. That’s another advantage of the Salesforce platforms, is that we’re able to achieve that with the stack that we have. Those are the two areas that we focused on and that’s where we’re forecasting where that revenue is going to be achievable. That’s going to be our baseline going forward. For every lift that we see in utilization, we can attribute to the unification of our clients on the community platform. [00:28:21] Patrick O’Keefe: That’s really cool. It’s always fun to speak to someone who has done it before and is in the process of doing it again, because I think when you do that, I’m going through that myself with another community is, it really reminds you of all the stuff that you’ve already done as you think about how to apply those things. So, I don’t know if community gets more fun as you get more experience, but it definitely gets more interesting, I think, as your process becomes more refined as a professional. [00:28:49] Daniel Marotta: Yes, I think it’s been pretty good at launching communities. I have managed pre-existing communities, maybe two, in my past experiences, and if I had to choose between launching a new and managing an existing, I’m leaning towards the more mature communities. The reason I say that is, I feel like we can do a little bit more in the risk-taking and the programming that we offer the member base at that point. There’s a proven template for launches, but there’s no proven template for evolving communities, so I like to challenge off the latter. That wasn’t the case with this, obviously, I had to launch a community, but if this was the perfect world and I had my choice, I would want to be managing a mature community at this point, but that’s neither here nor there. [00:29:36] Patrick O’Keefe: I can totally understand that. One that already has the critical mass and all those fun things, but the upside is that you don’t have to fix someone else’s problems, right? [00:29:53] Daniel Marotta: Very true. But I do enjoy those challenges as well. [00:29:57] Patrick O’Keefe: Daniel, thank you so much for taking the time to come on this show and share your experience with us. I’ve really enjoyed it. [00:30:00] Daniel Marotta: I have really enjoyed being here. Thanks for having me. Time flew by. [00:30:05] Patrick O’Keefe: We have been talking with Daniel Marotta, Director of Community at Bright Horizons. If you would like to connect with Daniel, you can find him on LinkedIn at linkedin.com/in/danielmarotta, and Twitter @massmarotta. Marotta is M-A-R-O-T-T-A. [00:30:20] Patrick O’Keefe: For the transcript from this episode plus highlights and links that we mentioned, please visit communitysignal.com. Community Signal is produced by Karn Broad. See you next week.